The latest numbers show that potato imports to the U.S. continue to rise. That’s according to numbers from Trade Stats Northwest. 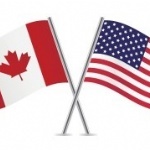 The largest source of fresh imports continues to be Canada. Growers in the Red River Valley argue that continued growth may be the result of unfair trade practices put in place by the Canadian government, and they want U.S. lawmakers to begin thinking about a response. One of the UK’s leading potato producers Produce Investments PLC has agreed to around a £52.95mln recommended cash takeover offer from a Jersey company ultimately owned and controlled by funds managed by Promethean Investments LLP. Whether you call them chips, frites or French fries, it’s shaping up to be a bad year for potato lovers. The record-breaking heatwave and lack of rain across Europe has hurt potato crops, with prices tripling in the UK in August from a year earlier. That’s forced fish and chip shops to charge more for a portion of fries that form one half of the traditional British staple. 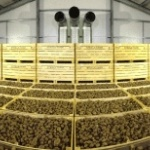 British potato growers are being advised by AHDB Potatoes to put as much effort into storage planning as they do into the rest of the growing season. Ewan Stark, Director of Taygrow, delivered the message at a recent AHDB potato storage event held in Perth. This message was echoed by storage experts from AHDB’s Sutton Bridge Crop Storage Research facility. 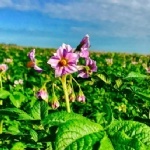 Cooperative weather during the growing season has San Luis Valley potato industry in the US Colorado members anticipating a good crop. Companies expected solid quality and about the same volume as in 2017, with demand also holding steady. Jim Ehrlich, executive director for the Monte Vista-based Colorado Potato Administrative Committee, said there are about 52,000 acres planted this year. The potato acreage may have increased this year in Western Canada, but it doesn’t look like it will be the same story for yields. 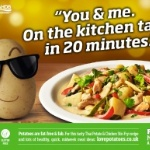 “I think overall it’s too early to tell because we haven’t started the main harvest, but we are not expecting as big of yield as the last couple of years,” said Dan Sawatzky, manager of Keystone Potato Producers Association in Manitoba. Behind Prince Edward Island, the Prairie provinces of Manitoba and Alberta are the top potato producers in Canada. Harvesting a quality crop is an important topic on every potato grower’s mind for the upcoming season. Blackspot bruise and shatter bruise, or open wounds such as of nicks, cuts and abrasions are quality issues to focus on and minimize at harvest. 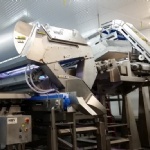 Most potato handling operations are performed by equipment, but there is almost always a human factor involved in managing that equipment in a way that minimizes bruising. 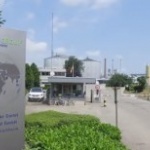 Despite significant dissent from some Member States, a recent ‘no opinion’ position in a Brussels Appeal Committee reviewing proposals for the non-renewal of approval for diquat (Reglone) looks set to result in the loss of this important desiccant next year. This is according to information published in the latest AHDB Storage Bulletin in the UK. 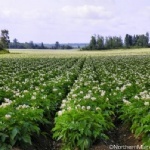 The General Manager of United Potato Growers of Canada, Kevin MacIsaac, released a report today on the current potato crop situation in the country. 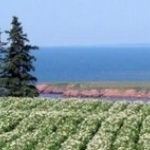 The summer is reported to have been extremely dry on Prince Edward Island (PEI). However, the province did experience two significant rain events in August. Unfortunately the area in the extreme western part of the province received much smaller amounts. Storage is a crucial part of the potato production cycle, helping growers meet the demand for their crops throughout the year, but if carried out poorly it can be economically disastrous. Done well, potatoes will come out of store in perfect condition meeting processor specifications. 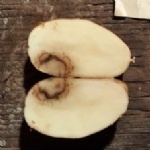 However, done badly, tubers can spoil or even rot in stores with losses rapidly mounting up. 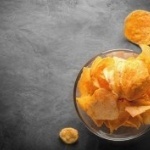 Snack, confectionery and potato producer associations have warned that British and European consumers can expect smaller potato chips this year. 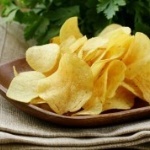 The European Snacks Association (ESA) has been tracking the issue throughout the summer, according to Bakeryandsnacks.com. The European potato harvest will be at a historically low level this year and present a massive challenge for growers, processors and their customers. 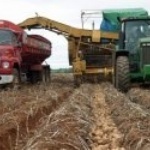 Due to the crop failures in potato fields, some of which were total failures, the availability of potato products will be significantly reduced. 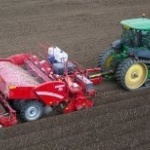 According to the Raw Materials Procurement Department of the Emsland Group, potato fields of the contract farmers of the group are in dire conditions. When zebra chip burst onto the scene in the U.S. in the 2000s, it came as a nasty surprise for many growers and cost producers millions of dollars. A little over a decade later, is zebra chip still as serious of a threat as it was then, and do researchers have a better handle on how the disease works and how to fight it? 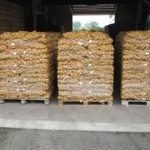 According to a report issued today by the Dutch growers association VTA (Verenigde Telers Akkerbouw), it is now clear that the potato and onion harvest in the Netherlands will be considerably lower than normal this year, following abundant rainfall in the beginning of the season and severe drought in the last couple of months. This is apparent from the first test digs in growers’ fields middle of August. Soil advocates want potato growers to bump soil management up their priority list. 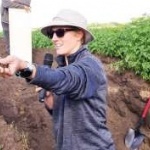 Marla Riekman, soil management specialist with Manitoba Agriculture, pitched soil management principles to growers and agronomists at Carberry’s Canada-Manitoba Crop Diversification Centre potato tour in the province of Manitoba, Aug. 14. During PotatoEurope 2018 next week in Germany, Dewulf, machine manufacturer for the cultivation of potatoes and root crops, will not only present several familiar favourites. but also two new machines. The first new offering is the recently announced Field Loader 240, an efficient transfer combi that excels in ease of use and capacity. The CP 22 Farmer, a light, mounted 2-row cup planter for potato growers with smaller acreage will also be on display. 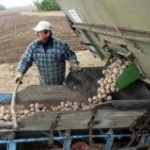 In Europe, the time has come for potato growers to harvest their potato crops. Estimates point to a smaller harvest and very disappointing yields. Is there pessimism? How are things going in Europe? And what is the situation in South Africa, the United States, Australia and New Zealand? It’s an American-made classic by an American inventor that has become a summertime staple for any barbecue table: Lay’s potato chips. H.W. Lay was a traveling salesman during the Great Depression when he started peddling chips out of the back of his Model A in 1931. 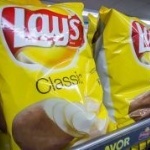 It was how he made a living across the Southeast, said Chris Quinn, senior vice president of sales at Frito-Lay. The heat wave in Germany also affects the harvest of potato varieties needed to make potato crisps. Due to the extreme climatic situation this summer, there is the threat of up to 30 percent crop failures in the country. 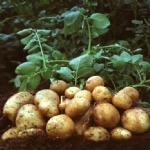 Furthermore, the expected smaller tuber sizes will mean that more potatoes are needed to produce a single bag of potato crisps than in years with an average harvest. Since genetically modified, or GM, seed showed up on the market, farmers have been inundated with expensive advertising explaining how important trait packages could be to their operations, writes Ron Wulfkuhle in FBN Network. And it was easy to see the appeal: Who wouldn’t want seed that could fend off corn borers, stand up to RoundUp or survive a dose of Liberty? University of Idaho researchers are working with Walmart to look at the reasons behind rejected or downgraded potato loads at the chain’s distribution centers. 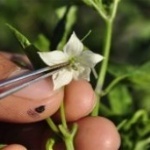 Nora Olsen, professor and extension specialist at the University of Idaho, and Mike Thornton, professor of plant science at the university, explained their efforts in a Aug. 29 session at the Idaho Grower Shippers Association annual meeting. Over the next few weeks, harvesting will be the main activity in Skagit Valley’s potato fields in Washington State. As the season gets underway, producers are looking at a good quality crop with a well spread size profile, much of that due to the warm and dry summer. “The harvest is gradually starting with some growers already out picking potatoes,” said Jack Wallace of G&D Wallace in the Skagit Valley. Wada Farms Marketing Group has strategically partnered with premier organic packer Genesis Organics located in southern Idaho. This new exclusive partnership provides new avenues for growth in the organic potato category with most notable being a longer supply availability to service all retail and foodservice industries on a year-round basis. “The demand for organic produce continues to grow in an exponential fashion. 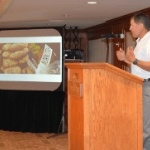 Customers are asking for more organic options when it comes to potatoes, and we are proud to be able to respond to that demand,” said Kevin Stanger, president of Wada Farms Marketing. Crop protection firm Certis has welcomed recently-appointed UK potato product manager Nick Badger to its business. Badger has worked in previous roles as North Europe potato portfolio manager with Syngenta, while also having worked for the UK fresh potato packer, MBM Produce. He explained that his key focus at Certis will be to promote quality crop protection solutions. According to Amanda J. Gevens, Associate Professor & Extension Vegetable Plant Pathologist at the Dept. 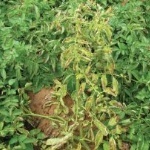 of Plant Pathology, UW-Madison, a new late blight strain type, US-25 has recently been identified in New York State. According to Prof Gevens, this strain has, to this point, been found only on tomato. In the run-up to PotatoEurope 2018, Dr. Rolf Peters from PotatoConsult UG in Germany describes the challenges and technology developments in planting seed potatoes. 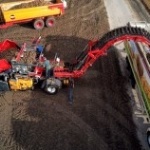 Demonstrations of planting technology will take place at the event, at Bockerode, near Hanover, on 12/13 September. According to Dr Peters, the planting of seed potatoes has developed into a highly complex step in crop cultivation. According to Mr S.K. 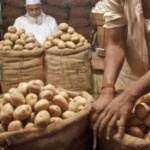 Gautam, CEO of NR Tradewind Services Pvt Ltd in Delhi, higher consumer prices for potatoes can be expected during the next four months in India. Mr Gautam says this trend is confirmed by several market sources and is indicative of the current scenario caused by heavy rains and floods across many regions in India. This year’s yields of the East German potato fields will be significantly lower than usual. 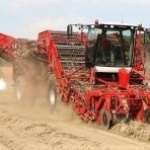 Due to the drought, the local producers are already expecting losses of around one third, said a spokesman for the agricultural cooperative Langenchursdorf in an interview with the local press. 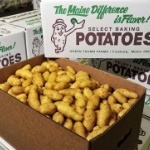 The Maine potato industry and growers across the nation could benefit from a financial victory that U.S. Sen. Susan Collins secured in the fiscal year 2019 Appropriations Minibus that recently passed in the Senate. Collins, a senior member of the Appropriations Committee, advocated legislation that will include $2.75 million in funding for potato research and $20 million for the USDA’s Integrated Pest Management Program, which supports the work of the University of Maine’s Cooperative Extension Potato IPM Program. Long ago and far away, most potato growers relied on mechanical vine kill – flailing/chopping and rolling with heavy tires or other implements to break the stems, says Pamela J.S. 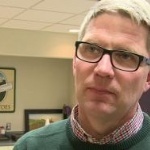 Hutchinson, Associate Professor at the University of Idaho Aberdeen Research and Extension Center. 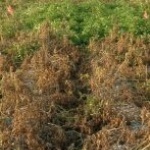 Late blight and other reasons, such as need for faster kill, have changed grower practices, she writes. According to Industrial Ventilation Inc (IVI), storage technology company based in Nampa, Idaho, the two critical environmental factors involved in properly storing potatoes and preventing common potato diseases are temperature and humidity. Adequate and unrestricted air movement is also necessary to maintain constant temperature and humidity throughout the storage pile. 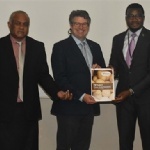 New Zealand’s potato industry governing body has made a commitment to ensure the quality of potatoes imported from NZ by Fiji will be of top quality. 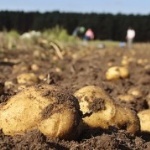 Potatoes New Zealand (PNZ) says it wanted to see Fiji’s potato industry grow. Its chief executive Chris Claridge made the comments during a bilateral meeting with the NZ Ministry for Primary Industries (NZMPI) in Nadi on Tuesday. It’s too late for much of the area’s potato crop, but many spud fields would benefit from a good rain, and soon. 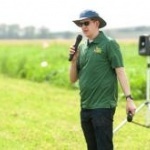 “If it’s in a day or two days or five days — rain would help,” said Andrew Robinson, Fargo, N.D.,-based extension potato specialist with both North Dakota State University and the University of Minnesota. Weeks of warm, dry weather have stressed non-irrigated potatoes, and a shot of late-summer precipitation would boost less-advanced spuds. Rain also would soften fields and make them easier to dig for harvest, Robinson and others say. Key Technology, a member of the Duravant family of operating companies, is celebrating their 70th anniversary. “In an era marked by rapid technological change, Key’s strategy has remained remarkably consistent over our 70-year history. We attract exceptionally talented people, inspire teamwork and create close collaborative partnerships with our customers to identify and solve their unique production challenges,” said Jack Ehren, President of Key Technology. 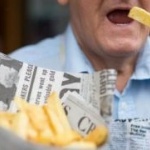 This week, media reports surfaced that ‘potato consumption is down 5%’. This is simply not the case, says industry organization AHDB Potatoes. The latest figures from Kantar WorldPanel, which covers data from all retailers, shows a 2.6% rise in consumption of potatoes since 2015, the organization says. 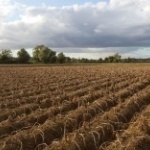 Potato maincrop harvesting is set to get underway in Britain, following a season of extreme heat and drought. 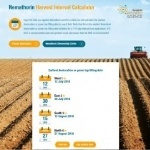 Where establishment was significantly delayed, growers are being reminded to check the pre-harvest interval from the date of planting, to desiccation and lifting, advocates Syngenta Potato Technical Manager, Michael Tait. 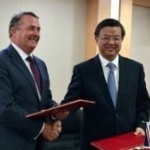 China’s developing taste for chips and crisps will soon be fueled by British produce, as International Trade Secretary Dr Liam Fox MP secures a deal which enables the UK to export seed potatoes to China. According to a press release issued earlier today, the deal is expected to bring major benefits to Scotland, with around 70% of the 100,000 tonnes of seed potatoes exported annually from the UK coming from Scottish farms. 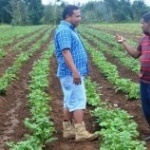 Technical assistance is being offered by the New Zealand Government to develop Fiji’s potato industry. The two countries have signed a bilateral agreement which will see more assistance being given towards Fiji. Biosecurity Authority of Fiji – CEO Hillary Kumwenda says this is an important step for Fiji to ensure the versatile crop is given the best possible platform to thrive. 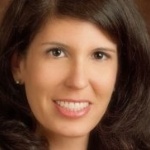 McCain Foods announces the appointment of Danielle Barran to country president, McCain Foods (Canada), a division of McCain Foods Limited. Ms Barran assumed full responsibility for the Canadian commercial business, effective August 20, 2018. Reporting to Jeff DeLapp, President, North America, Ms Barran will lead McCain Foods Canada’s next stage of strategic development. Cailey Hall, a PhD student at UCLA, writes in this article that the English author John Foster published a pamphlet in 1664 whose long title begins, “Englands happiness increased, or, A sure and easie remedy against all succeeding dear years by a plantation of the roots called potatoes.” Although the potato has been cultivated in Europe for less than a century at this point — after making its way from the Andes on the ships of Spanish conquistadors — the tuber represents European imperial hopes for better food futures. It also makes many more individual futures, in the form of population growth, possible. While the catastrophic climatic conditions in northern Germany are becoming increasingly clear, potato growers and marketers in southern Germany expect only a slightly below-average harvest. In Bavaria in particular there were only occasional weather extremes in recent weeks, which is why crop development was not significantly affected. 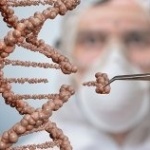 Zachary, Lippman, a professor of genetics at Cold Spring Harbor Laboratory created plants using gene editing, a technology—based on a natural process—that allows researchers to cut out certain bits of DNA in order to control traits. The cell’s genetic structure then repairs itself automatically, minus the targeted gene. His tomatoes are now programmed to produce double the number of branches and, as a result, twice the tomatoes. 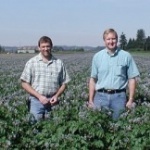 Potatoes from the European Union have cut into Washington potatoes’ market share on the Pacific Rim, Voigt said. “We’re starting to see a lot of European french fries showing up in Japan, China and places where we normally didn’t run across as much of them,” he said. 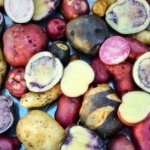 “We’re actually hoping there’s a way we can grow or plant more potatoes here in Washington, because we know there is demand in the Pacific Rim, but we’re out of acres,” executive director of Washington State Potato Commission, Chris Voigt said. 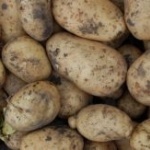 The potato market in Europe is still under pressure because of the dry weather. “The rain that fell in recent days, is a bit too late. The damage has been done. Some varieties will recover somewhat, but yields will be low. Yields are between 15 and 30 tonnes, and that’s very disappointing,” says Bart Nemegheer of De Aardappelhoeve in Belgium. 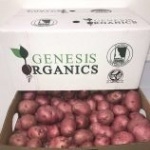 It’s difficult to fulfil the contracts on the market, because growers don’t have the potatoes. Key Technology, Inc., a member of the Duravant family of operating companies, and Heat and Control Pty Ltd. announced that they have entered into a strategic partnership to support customers in Australia, New Zealand and India. Under the terms of the agreement, Key has appointed Heat and Control as their exclusive agent to sell and service Key’s digital sorters, vibratory conveyors and other automation systems in Australia, New Zealand and India, effective immediately. Soil is sometimes considered the last knowledge frontier because so little is known about the microbial and fungal communities that live within it. What we do know is that in just a small handful of dirt live thousands upon thousands of microorganisms, some helpful to plant production, some not. 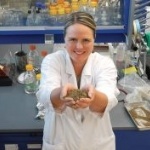 Soil health and crop production go hand in hand, which is why scientists, like Agriculture and Agri-Food Canada’s (AAFC) Claudia Goyer, are working hard to better understand it. 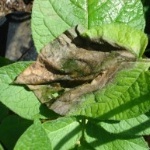 Corky ring spot is becoming more economically important across several potato production regions in the U.S. largely due to the spread of tobacco rattle virus (TRV) and because of restrictions on the use of current chemical control options. Potato specialists at NDSU/University of Minnesota recently published a factsheet explaining the influence of TRV on potato production. The extreme weather conditions of recent months caused a commotion in the potato sector in Europe. Many growers suffered damages, resulting in lower yields this year. In various media outlets, the re-negotiation of contracts between growers and the processing industry has recently been mentioned frequently. This is why parties from both the Dutch and Belgian potato sectors came together to discuss this and to voice their worries.